It’s a fact: we live in a world of data. The ability to analyze, digest, and apply it has never been more critical. 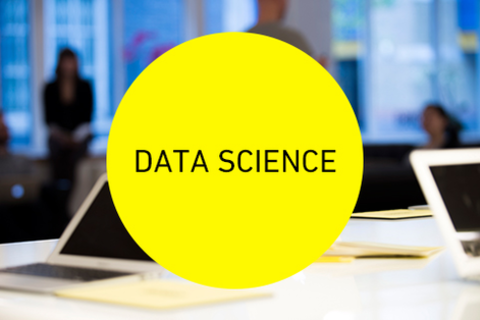 During this session, you will learn the essentials of Data Science. This workshop will look at the different facets of sourcing, scrubbing, analyzing and visualizing data to derive solid conclusions to make decisions that will impact your business. Working with data educators and real data examples you will see how to unlock the data within your organization. - A laptop (Windows, Mac or Linux) with an up-to-date version of the Chrome web browser. Amadeus is Head of Technology for Decoded, providing Digital Enlightenment across the globe. A self-taught coder and physical computing nut, he worked for a number of years as a web developer before moving into academia. After completing a Masters degree in Physics at Imperial College London, Amadeus pursued a PhD in Biological Physics at the University of Oxford, where he studied the interactions of nanostructures with bacterial cells. Amadeus is passionate about demystifying the wonders of technology from a code, data and security angle. Barry is COO of Decoded, an education business with an audacious promise: to teach anyone how to access, analyse and visualise data using code... in a day. Decoded is transforming digital knowledge within leadership teams from WPP, Havas, Microsoft, Unilever, Best Buy and many more. A self-confessed teenage geek, Barry taught himself the basics of coding from computer magazines in his bedroom. Those fundamental coding skills continually proved to be useful in his subsequent career, first in advertising at Ogilvy & Mather then in consulting at Bain & Company. Barry is passionate believer that everyone should be literate in code to fully engage with the digital world that surrounds us. Barry holds an MBA from Columbia Business School. Elizabeth Lukas is CEO of Decoded in the US. Having seen first hand the divide between developers and non-developers, she is passionate about giving people the tools and education to bridge that divide. Elizabeth started her career in advertising working on a host of global technology brands including IBM, Samsung, Sony, Sharp Electronics and Computer Associates. Post advertising, she advised and identified the top hybrid marketing talent in a role as a Talent Consultant. She is a strong advocate of investing in people and giving them the tools and training to not only succeed, but change the world. John Ridpath is Head of Product at Decoded, overseeing the creation of courses and their delivery. Before joining Decoded he was a writer at Contagious Magazine, providing a unique perspective on digital trends and creativity, and consulting for global brands including Diageo, Kraft and ABB. After studying an MA in Shakespeare at UCL, he learned to code and worked as a web developer for several years. Since then, he has been passionate about communicating the possibilities of code and data to non-technical audiences. He has lectured on the Digital Media Design BA at London College of Communication, and taught journalist students how to code and understand data at London Southbank University. He has spoken about digital creativity at events organised at Google, Contagious, AAR, the Innovation Enterprise and the IPA.